Killer monkeys are on the loose. In George A. Romero’s Monkey Shines, it’s a telepathic Capuchin helper monkey, and in Shakma, it’s a rampaging baboon in a university hospital. It’s Old World Vs New World Monkeys in this battle of our closest genetic cousins in the animal world. We love “animals attack” / “nature run amok” movies and we love having Scott Drebit on the show to talk about them. 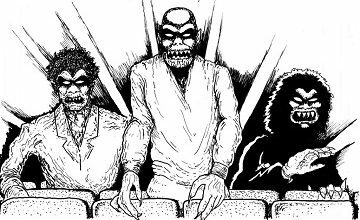 He’s a regular contributor to the excellent site Daily Dead. 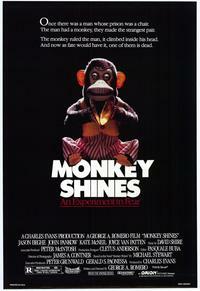 Romero’s Monkey Shines was met with much indifference upon first release, earning a mere 5 million or so at the box office. Did this “experiment in fear” deserve its fate? Shakma, on the other hand, isn’t as well known. And we’re here to change that. Check out which one of these films deserves a tuxedo and a cigar and which only made a monkey out of us on this hairy episode of the Really Awful Movies Podcast.